Our employees take pride in doing things the right way and in a friendly manner. While we focus on consistency in process and manufacturing, to ensure top quality, we never lose sight of the fact that our purpose is to satisfy you – The customer. It doesn’t matter, whether you are interacting with our sales, engineering, shipping, production or quality members, expect friendly service and a positive result! 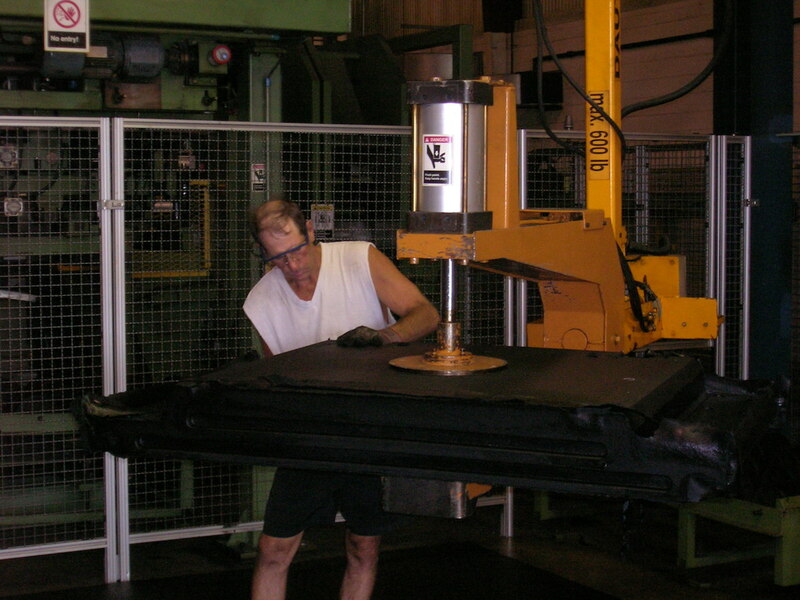 We operate a state-of-the-art, 40,000 square foot, centrally located manufacturing facility in Lisbon, Iowa. Our product manufacturing and process are patented and we manufacture according to ISO 9001. HiRAIL has sales offices from North America to Asia. So when you need a crossing solution and the clock is ticking, rest assured that courteous, convenient service is just a quick call away. From specialized design, to expert installation supervision, to total technical support, count on HiRAIL to make the grade. To date, we have sold more than 6000 grade crossing systems to freight, transit and industrial rail customers. With average crossing surface life of 15-20 years, and some in the field more than 25 years. HiRAIL Grade Crossing Systems have perhaps the longest life and lowest total cost of ownership in the industry. Our rubber crossing surfaces, manufactured from recycled rubber do not crumble like asphalt, or spall like concrete. 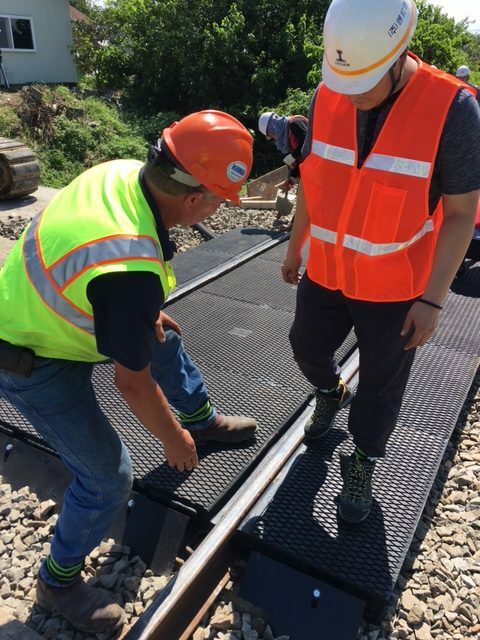 With proper handling, they can be removed and reinstalled to perform track and trackbed maintenance. They can be fastened to wood ties (lagged) or joined with connecting rods or end blocks for concrete tie applications to ensure positional stability. You don’t have to add rail seal to our products as the material itself is rubber. This provides sealing and electrical insulation that you must add to other crossing surfaces. Our surfaces are smooth to drive over, and are quiet. The surface is designed to move water away and to help to grip. Choose HiRAIL for the best grade crossing experience. How have we earned our unparalleled reputation for reliability? By putting our customers first – and providing a sales experience that’s as smooth and dependable as our premium rubber products. That means working with you every step of the way to deliver expert design assistance. Hassle-free installation. And state-of-the-art support that keeps your investment on track long after your purchase. Need a customized crossing system? Our experienced product engineers will help you develop a specialized solution that meets your specific application needs. Your insights ensure that we constantly expand our product line with effective, innovative new concepts. In fact, many of today’s standard HiRAIL product offerings started out as a customized client design.